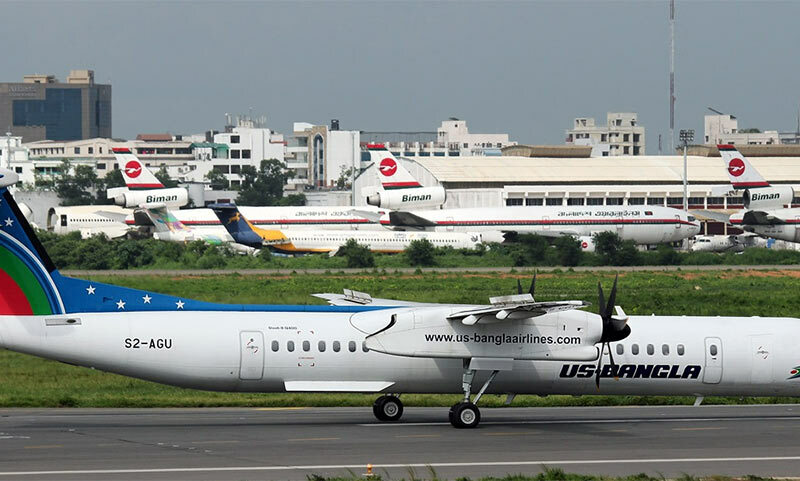 Two planes of US-Bangla Airlines and Biman Bangladesh Airlines collided at Hazraj Shahjalal International Airport in Dhaka early Monday. Kamrul Islam, general manager (public relations) of the US-Bangla Airlines confirmed the news. He said: "Boeing 777-300ER aircraft of Biman Bangladesh Airlines hit a stationed aircraft [Dash-8 ] of US-Bangla Airlines while it was taking off for Jeddah early Monday." "The Dash-8 aircraft sustained considerable damage after the collision," he added. No version from Biman Bangladesh Airlines have been collected immediately. He said: "Boeing 777-300ER aircraft of Biman Bangladesh Airlines hit a stationed aircraft [Dash-8 ] of US-Bangla Airlines while it was taking off for Jeddah early Monday.